What explains the ebb and flow of the Sino-Japanese rivalry? Why do the two states sometimes choose to escalate or de-escalate the rivalry? Does domestic politics play a role? 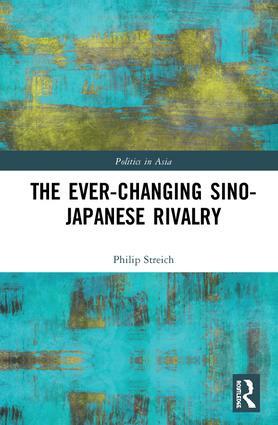 Examining the historic and contemporary relationship between China and Japan through the lens of the interstate rivalry literature, Streich analyses two periods of Sino-Japanese rivalry and the reasons for their ever-changing nature. He looks both at how rivalry theory can help us to understand the relationship between the two countries, and how this relationship can in turn inform rivalry theory. His results find that domestic politics and expected costs play a large role in determining when each state decides when to escalate, de-escalate, or maintain the status quo. An essential guide to understanding the historical development and contemporary status of the Sino-Japanese rivalry. Philip Streich is currently serving as Associate Professor at Osaka University, where he teaches and conducts research on politics and international relations. He has been teaching since 2015 in the School of Human Sciences, a multidisciplinary, social sciences-focused department located on Osaka’s Suita Campus. Dr. Streich has also taught at Haverford College, Pomona College, and Rutgers University. He earned his PhD in political science from Rutgers in 2010.